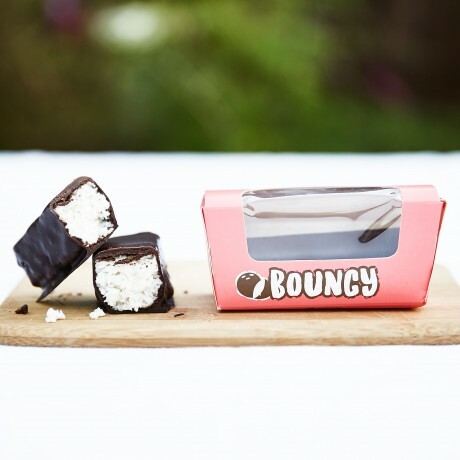 Raw, organic Bouncy Bars that are free from dairy, gluten, refined sugar and eggs. 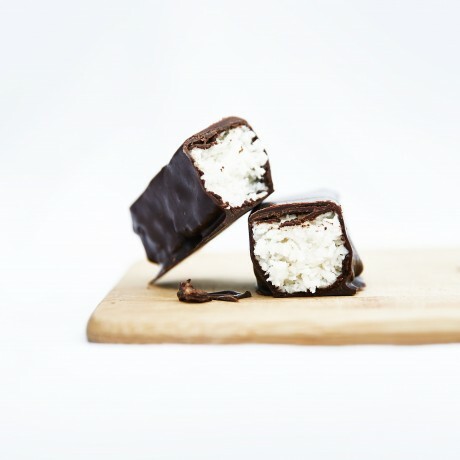 Coconut, stone ground coconut cream and raw acacia honey combine to make a delicious coconut filling. Mr. Prempy's use only certified organic ingredients by the Soil Association. Available to buy in quantities of 6 bars (55g each). Shelf life for this product is 14 days. Coconut, coconut oil, coconut cream, raw acacia honey, 90% raw dark chocolate (raw cacao butter, raw cacao powder, maple syrup).